After a stint in Berlin with the U.S. Foreign Service, the Charlottesville native enrolled in the graduate program at the Curry School of Education at the University of Virginia in 1958, as did many other women prior to 1970. Women were barred from the males-only undergraduate programs at U-Va., but were allowed in the graduate schools. Johnston went on to complete a master’s degree in German in 1963, and then taught German at Virginia and the College of William and Mary. In 1967, Johnston went to Vietnam to work for USAID, and stayed for seven years. This experience inspired her to rejoin the Foreign Service, which sent her to Frankfurt, Berlin again, New Dehli, Tehran, and then to Shanghai. 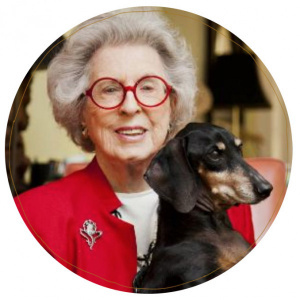 After thirty-three years in the Foreign Service, she faced mandatory retirement in 1996. Johnston stayed in Shanghai, and has written several book since then, including a coffee-table book, A Last Look: Western Architecture in Old Shanghai. Her other books include Shanghai Art Deco, and Permanently Temporary: From Berlin to Shanghai in Half A Century. 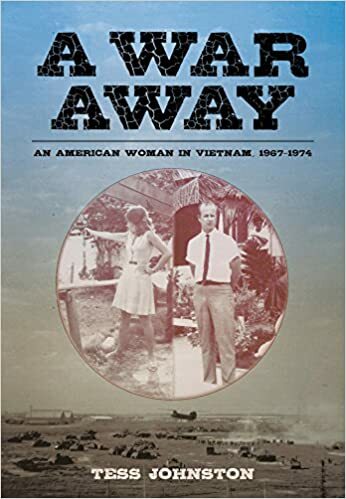 Tess Johnston returned to the United States in 2016, and has now published a new book, A War Away: An American Woman In Vietnam 1967-1974 (Earnshaw Books, 236 pp., $24.99, paper; $9.99, Kindle) It’s an interesting memoir that is in need of a good editor. Johnston took good notes while she was in Vietnam, but her writing style consists of plugging away with much too much detailed information. There are two photos on the cover of her book. One shows her firing a gun at a practice range wearing a dress; the other is of the infamous John Paul Vann. Vann was a military and civilian adviser in Vietnam until 1972 when his helicopter crashed while he was assessing damage after the Battle of Kontum. Vann’s life is the focal point of Neil Sheehan’s National Book Award-winning 1988 biography, A Bright Shining Lie, a detailed portrait of the man—and an incisive history of the Vietnam War. A War Away provides a different picture of Vann, albeit in only two of the fourteen chapters. Vann comes across as demanding and charismatic, feared and loved by those whose lives he touched. Johnston provides some interesting anecdotes, though Vann is not a central character in the book. The problem with A War Away is that there seems to be no central theme. Instead, we encounter a stream-of-consciousness style of writing, with too much focus on mundane details. If you have the patience to sift through descriptions of the furniture in Johnston’s apartment and the phone system in her office, you will be able to find some items of interest. Her chapter on the 1968 Tet Offensive during her time at Bien Hoa, for example, is very interesting, as are her stories of other close calls with the Viet Cong. Tess Johnston was clearly a level-headed, competent office assistant to Vann and others, and her story could have been be a compelling one if she pared it down a bit. The hero of Roger Rooney’s novel True North (Volcano Mountain, 296 pp., $19.95, paper; $0.99, Kindle), Jack Burns, is one of the few Australians serving in the Vietnam War in the early 1960s. As much as he hopes it will provide him some distinction, Burns’ path seems destined for disappointment. Or worse. Burns arrives in country with energy and ambition. But there’s heat and chaos and the frustration of working as an adviser in a place where advice is the last thing anyone wants to hear. Rooney tells of Burns’ growing disenchantment with the war, along with the story of a young North Vietnamese woman who is with a detachment of NVA troops heading south to make war on the Americans. She, too, is disenchanted. Readers will wonder whether their paths will cross. Burns wants to remain optimistic, but he cannot escape the conflicting directives of the war. The ARVN’s track record suggests that its objective is not winning the war, but preventing another next coup against President Ngo Dinh Diem, South Vietnam’s American-backed leader. Before being installed as Prime Minister, Diem was a religious mystic in Bruges, Belgium. His only qualification for the job was his staunchly anti-communist views. Burns isn’t on the ground long before someone sets him straight: The apparent truth he sees isn’t real. Nevertheless, Burns is eager to get to the front. Too soon, he gets his wish. Later, as the battle rages on and monkeys shriek in the branches above, the young NVA woman is captured. She will try to warn Burns away from a booby trap. But it’s too late. Burns is badly wounded. He’ll land in the hospital and, from there, descend into a hell of opium and despair. We are left wondering, and perhaps hoping, that we’ve seen a glimpse of a connection that may yet take place. Both he and the young woman, Tran, are characters we care about. Rooney’s development of their stories is smart and well-told. There are taut, wonderfully descriptive passages that carry us through to an ending that is as hard and desperate as the war itself. Readers will forgive occasional inconsistencies in the writing, although there are a disconcerting number of typographical errors in the book. Nevertheless, True North is well worth a read. Lou Pepi’s “My Brothers Have My Back”: Inside the November 1969 Battle on the Vietnamese DMZ (McFarland, 225 pp., $35, paper; $18.99, Kindle) tells the story of one of the biggest battles in the Vietnam War. It took place in November of 1969 and was known as the battle for Hill 100 and also as the Battle of Gallagher Ridge. Pepi has done an impressive amount of research. There are after action reports, citations, journal accounts, and interviews with fifty men who took part in the fight. The battle was fought less than two miles from the DMZ where four Fifth Infantry Division rifle companies (around 600 men) met 2,000-3000 NVA troops and battled it out for three days. A Viet Cong document captured near Saigon showed that the NVA attack was timed to coincide with the large Vietnam War Moratorium antiwar demonstrations in the United States planned for November 15th. Pepi, who was drafted into the Army in March of 1968, served as a 21-year-old infantryman with Alpha Company of the 1st Battalion/61st Infantry Regiment in the Fifth Infantry Division. Four months after he arrived in country, Pepi found himself on the last helicopter that delivered troops into the battle. He offers unique insights into the story of the men who fought those three days in 1969. I found the account difficult to follow in some places as Pepi mixed many individual accounts of the battle with full citations. The large number of images, however, added greatly to the book. I would recommend this book to Vietnam War historians and to anyone who was involved in this action. In 1954, Penn State ROTC instructors taught me that France had been wrong to attempt to maintain its colonies in Indochina following World War II. Thereafter, the writings of Bernard Fall and Jean Larteguy influenced my thinking about the warfare between the French Army and the Vietnamese revolutionaries. Their books made me sympathetic toward the French, while at the same time I admired the determination of the Vietnamese. 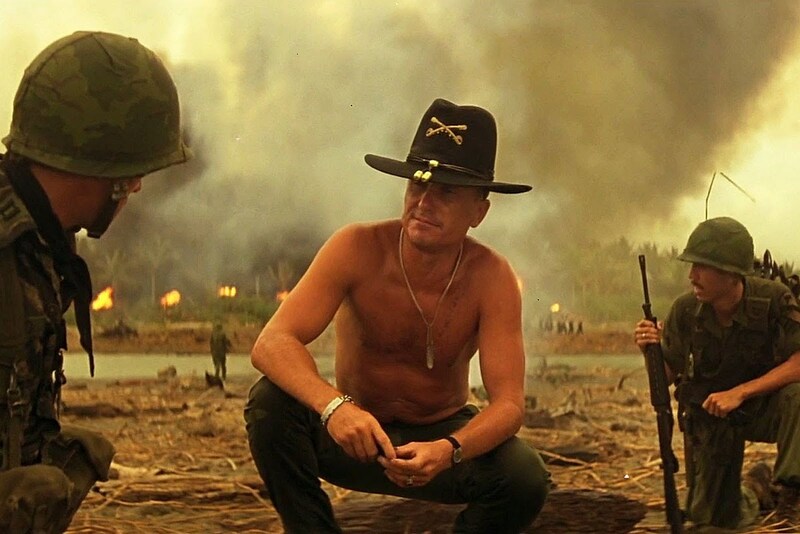 Then I took part in the American war in Vietnam and stopped caring about what had happened to the French because we had our own problems in Southeast Asia. 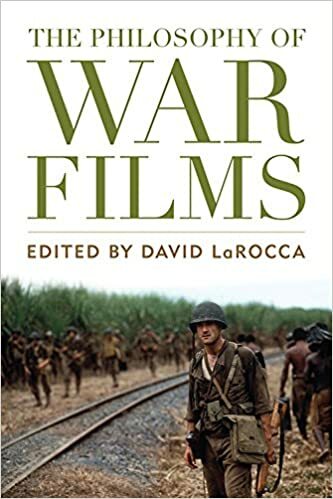 Now, Martin Windrow has revitalized my thinking on the topic with French Foreign Legionnaire Versus Viet Minh Insurgent: North Vietnam, 1948-52 (Osprey, 80 pp. $20, paper; $16, e book). Windrow is an authority on the French Foreign Legion and has written other books on Indochina. This slim volume is packed with facts. Oddly, though, the bibliography does not include any books by Fall or Lartéguy. He characterizes the Viet Minh as “a general revolutionary organization of the civilian population.” Motivated toward patriotism by communist indoctrination, “mostly illiterate 18-20-year-olds” who lived “among the rice paddies” served with the Viet Minh, as Windrow puts it. In other words, a Legionnaire felt allegiance toward his fellow soldiers, and a Viet Minh fought for his nation’s independence. Windrow also compares French and Viet Minh leadership, communications, training and morale, logistics, armament, and tactics. The two armies slogged through jungles and rice paddies trying to outwit each other, much like the U.S. Army’s search-and-destroy strategy against the Viet Cong and North Vietnamese Army, but without helicopter support and significant airborne firepower. The French were “hamstrung from the outset by a failure either to recognize the type of enemy they faced or to formulate a coherent plan for defeating them,” Windrow says. With most fighting occurring in remote areas, expediency prevailed. Legionnaires with serious head or gut wounds routinely received a “merciful overdose of morphine.” The Viet Minh leaders ruthlessly “regarded the individual as cannon fodder.” The French aimed to win with firepower while the Viet Minh relied on manpower. In the book Windrow highlights three battles fought in Tonkin, the far northeast region of Vietnam: Phu Tong Hoa (July 25, 1948), Dong Khe (September 16-18, 1950), and Na San (November 23-December 2, 1952). Although the Viet Minh breached the Legion defenses at Phu Tong Hoa, the French retained control of their base. The following month they abandoned the site, which ceded almost the entire northeastern part of Vietnam to the Viet Minh. At Dong Khe, the Viet Minh fielded 10,000 men against 267 Legionnaires and captured the Citadel. Viet Minh casualties numbered perhaps 2,000 with 500 killed, Windrow says. Twenty Legionnaires escaped, but all the others were killed or taken prisoner. After the French tried but failed to recapture Dong Khe, they suffered repeated defeats and retreated from the area. Of 7,409 Legionnaires, 5,987 were killed or went missing, Windrow says. The Viet Minh attack on Na San resulted from a haphazard decision by Gen. Vo Nguyen Giap and failed because of logistical mistakes. The well-fortified French positions and the length of the encounter demanded more supplies than Giap had anticipated. The loss taught him lessons that paid dividends at the pivotal May 1954 Battle of Dien Bien Phu. It appears that Windrow selected these battles to illustrate how Giap learned strategy on the job. Giap’s basic maneuver of employing massive numbers of men required greater logistical support—particularly with artillery and ammunition—than he had anticipated before Na San. Based on this book, one might wonder how much Giap’s realization about logistics affected the decision to build the Ho Chi Minh Trail to supply North Vietnamese soldiers in South Vietnam. Following Osprey’s classic design, Foreign Legionnaire Versus Viet Minh Insurgent contains excellent artwork, photographs, and maps. Illustrator John Shumate rendered his vivid work in Adobe Photoshop using a Cintiq monitor. October 1963 was a tumultuous month for John F. Kennedy. Contentious negotiations over Civil Rights and tax-reform legislation occupied the president, as did the increasingly troublesome war that was brewing in Vietnam. High-risk plans to overthrow South Vietnamese President Ngo Dinh Diem were gaining momentum. The text of that convocation address is included in JFK: The Last Speech, edited by Neil Bicknell, Roger Mills, and Jan Worth-Nelson (Mascot Books, 363 pages. $27.95). The book—along with a film of the same name—is the 50th reunion project of Amherst’s class of 1964. The book is made up of remembrances by members of that class who were on campus when JFK visited, along with a wide range of other material. That includes the typescript of an early version of the speech (drafted by the scholar and White House adviser Arthur M. Schlesinger, Jr.) with Kennedy’s handwritten edits; and articles by the literary critic Jay Parini, the actor/director and environmentalist Robert Redford, and the historian Jon Meacham. The October 26 address gained resonance in the wake of the earth-shaking events of November 22, 1963. The president’s assassination, his Frost Library remarks, and his famed Inaugural Address (“Ask what you can do for your country….”) melded in the minds of Amherst students, many of whom chose various ways to serve to their country. Rip Sparks, for example, who joined the Peace Corps, writes that people would tell him that that was “a good way to avoid the draft,” but “it wasn’t that at all.” Gene Palumbo became a conscientious objector and worked with the Urban Action Task Force in Harlem. Today Dr. Jacobs wonders if he may have played a small role “in prosecuting and perhaps prolonging the war.” On the other hand, he believes that he is a better person for his Kontum experience and that he saved many lives.